The home office is also decorated with plants, both real and in glossy white ceramics. Vintage coffee cups are nice vessels for small cacti and succulents. Location: Place cacti close to the window; they need a maximum amount of sunlight. Temperature: Anything goes, as long as they are protected from frost. Watering: During the growth period (spring to autumn), water cacti abundantly, until water runs out of the pot. Donâ&#x20AC;&#x2122;t leave water standing in the pot or saucer, and wait until the soil is completely dry before watering again. Cacti can (and will) start to rot when you overwater. April - October: For a cactus plant in a pot with a diameter of <5 cm, water every 3 to 8 days, depending on temperature and sun exposure. For pots with a diameter of >30 cm, water every 10 to 20 days. November - March: Water less than in summer. For a cactus plant in a pot with a diameter of <5 cm, give a small cup of water every 1 to 2 weeks, depending on temperature. For pots with a diameter of >30 cm, give a litre of water every 2 to 4 weeks. Most cacti donâ&#x20AC;&#x2122;t need fertilizer. During the growth period, however, you can add liquid fertilizer every two to four weeks when watering. Succulents really need no introduction: they are among the most popular and easy plants out there. They do come in many different varieties, from graphic-looking Echeverias, with their large rosettes of thick leaves, to tall cactus-like species. A big Euphorbia triangula is a statement piece in this room. The watering can on the sideboard blends right in. 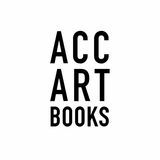 A bookcase decorated with an eclectic mix of African art, design classics, books, pretty boxes and plants in different sizes. Sunny bedrooms are the ideal place for a big ornamental succulent. Sleeping next to your favourite green buddy is the best! Green gem on the English Channel You wonâ&#x20AC;&#x2122;t find a TV here. Or any glossy new furniture pieces, for that matter. Jeska and Dean Hearneâ&#x20AC;&#x2122;s little bungalow close to Hastings in England can truly be called a collected home, brimming with character and personality. It has been created over time with lots of love, creativity and warmth, and is home not only to the two young creatives, but to their two cats, Marlo and Wallis, and around 60 plants. Plants are a wonderful addition to any interior. What is your styling tip when it comes to plants? with layering different pots, heights and so on. I would be a plant keeper. makes me feel calm and happy. wards for a more “used” look. Swiss cheese plant With its lush, wild appearance, large split leaves and swinging aerial roots, the Monstera deliciosa is a real jungle queen. If you aim for an instant jungle look in your home, this is the plant to go for. Unlike many other plants, the Monstera deliciosa guarantees an instant jungle vibe in any room. And yet this spectacular houseplant is very easy-going. The Swiss cheese plant is a low-maintenance houseplant and thus ideal for anyone who considers themselves to have a black thumb. This is what slow family living looks like: the cute little Schmidt family, surrounded by plants. The vintage cabinet houses snail shells, stones, shells and a wonderful collection of air plants (Tillandsia). Two Echeveria are cosied up in an old coffee grinder. Line the drawer with cling film to protect it from moisture. is inhabited not only by the happy family but by a big bunch of cuddly toys and plants as well. which is why they are known as air plants? so they appreciate high levels of humidity. other plants when they’re watered. of a growing houseplant collection. The cross for the centrepiece is made with five pieces of wood and two copper T-connections. determined by the size of your plant pot. the more powerful air-purifying plants out there. Cosy get-together: the fiddle leaf fig sets the tone while the various succulents, the Pilea, the Oxalis and the little home-grown avocado tree listen carefully. MORGANE INHERITED SOME OF THE PLANTS FROM HER MOTHER. THESE ARE PRECIOUS HEIRLOOMS. Spiderwort are very undemanding houseplants. Besides an abundance of light, preferably direct sunlight, they don’t require a lot of care. You can stick to the motto “less is more”. Less water, less fertilizer, and your Tradescantia will be happy. The plant is also particularly easy to multiply: you can grow new plants from small cuttings without too much effort. Within a short period of time, a young plant or cuttings can grow considerably. Initially, the plant grows upright, but under the weight of the leaves, it will then drop its stems down to all sides. Therefore, Tradescantia are exceptionally suited for hanging baskets or on wall shelves. Some people say that these plants are like weeds and that this makes them less attractive. But we as plant lovers truly enjoy the wild jungle look of a big, healthy Tradescantia! Styling: ochre, blue and the dark purple of a Tradescantia make for great visual harmony in front of a grey wall. Detail: the leaves feature hues from dark green to deep purple. The flowers of the Tradescantia are small, fragile and mostly soft pink or purple. Location: Very bright, even direct sunlight. Perfect for south-facing windows and potting in hanging baskets. Temperature: Normal room temperature. The plant does not tolerate frost. Watering: Water sparingly when the top layer of soil has dried out. In winter, water less frequently. Fertilizer: Liquid fertilizer once a month in the summer, ideally half the recommended dose. Plant and family bliss in Istanbul: the patchwork family consists of Sezer, plant expert Fem and her son San. almost tangible is her passionate love for plants. This love not only defines her professional life as the founder and manager of the plant studio Labofem – it definitely defines her entire life. private life – plants were everywhere, and clients were constantly making requests for visits. It was then that she separated her private and business life by opening a nearby plant studio. Even though home and the workplace are separated now, her life is still strongly dominated by plants in both places. Location: Practically anywhere, from bright spots to shaded ones. Temperature: Warm, between 18°C and 27°C. The temperature should never go below 13°C. Watering: Water sparsely. Sansevieria will rot when overwatered. They are particularly draught-tolerant, wait if in doubt. Fertilizer: Once every month during the growth period, diluted by 50%. The plants don’t need to be repotted very often – they like to fit tightly into their pot. Instead of repotting, you can remove a few centimetres of soil and replace it with fresh soil that covers the exposed roots. The Future Kept, w채hrendloripsum. Kept, w채hrenunJeska istStylistin, Fo, B The Future Kept, w채hrendloripsum. Kept, w채hrenunJeska istStylistin, Fo, Bloggerin. loggerin. THE AUTHORS Igor Josifovic is a blogger, social media expert and plant lover living between Munich and Paris. 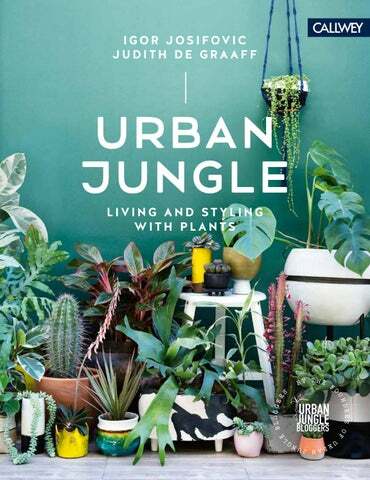 He shares his love for interior design, travel and living with plants on his Happy Interior Blog and with the international plant community Urban Jungle Bloggers, which he founded together with Judith de Graaff. Judith de Graaff is a blogger, graphic designer and plant lover, and lives with her husband and three cats in a former factory just outside Paris. She shares her love for colour, design, travel and living with plants on her blog JOELIX.com and with the international plant community Urban Jungle Bloggers, which she founded together with Igor Josifovic. THE PHOTOGRAPHER Lina Skukauskė is a Lithuanian photographer focusing on hospitality and lifestyle photography subjects such as interiors, food, travel and people. She loves telling visual stories that inspire people and capture life in a beautiful and appealing way. You can find out more about her at www.linaskukauske.com.